Pure Craziness in Snohomish County! These three houses you see I toured with a client on Saturday. 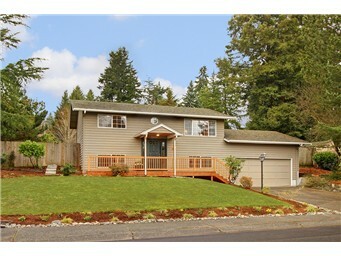 Two are in Bothell and one in Kirkland on Finn Hill. 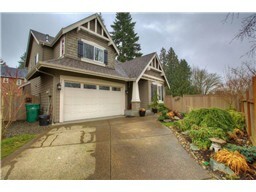 They just went on the market last week listed in the low to mid 300K range and are all now pending as of Sunday. What I would like to share with you is how crazy it was to get in and see these homes. The first one looked like an Open House on steroids but it wasn’t. We had an appointment to view at 3:00 and there were at least 10 couples inside! We barely had room to squeeze around and see the home.The owners were there and actually showing the home, describing features and speaking with all the prospective buyers. They said the home had been on the market one day and they already had 5 offers. Originally they were going to look at any offers on Monday but changed their mind to review on Sunday due to the amount of traffic and flooding of offers. The second home we toured was just around the corner and when we got there it looked like a mob standing outside. An agent standing there with a client said there were some folks inside and they did not want a ton of people in their with them. So, out of respect, we were all lined up to take our turn; We were 5th to get in. After 20 minutes we finally got to view the home and there were more in line behind us. My clients said “this is insane and its starting to rain we should just let everyone in.” I agreed and told everyone that they could tour along with us. Some went down while others went up and I waited to lock up until everyone was out. Wow! Then off we went to the last home in Kirkland up on Finn Hill. My clients told me they wanted to make a Starbucks run and would meet me there. I got there and it was an Open House. I went in and introduced myself to the other agent thinking we could chat while I waited. No way! She said that when she got there to open the home there were 7 couples in-line and so far at least 50 have been through! As I was waiting for my clients I counted 8 more families on tour. Unbelivable! So what the heck is going on? Well recently I reported on current statistics from the Northwest Multiples, that states Snohomish County is down to 1.3 months inventory of current homes for sale. With interest rates so slow and prices starting to climb families are starting to realize they better make a move or lose out. A year ago I could find good homes available for around 250K. Now that is getting very difficult. I work all around Snohomish County and in a few new home developments in Lake Stevens and Silver Lake area and I can assure you builders are raising prices. More price hikes are set to go into effect this spring when its suppose to get busy. From what I saw last weekend I don’t know how it could get any busier but if this is an indication there is going to be a lot of competition. So how do we balance out? We need more homes on the market-period. Prices are rising but are they enough for those that have been under water for so long? My answer to that is, it really depends. What area are you in and how much under water are you? Every situation is different but I can tell you for example the first home above was a short sale and after all offers were in there was 9. I always tell my clients you need to go in with your strongest offer you can. No low bidding it’s just not an option. 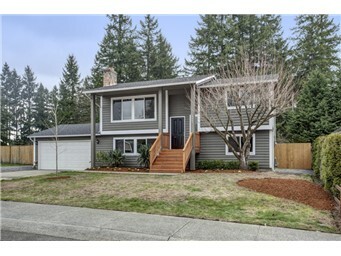 So we did- and offered $17,500 over asking price. We did not get it! My clients were sad, of course, but, we had pulled out all the stops and I told them you did your best and can feel confident that you could do no more. Now lets get hopping as fast as we can onto the next one! Prospective sellers are you seeing this? You might be happily surprised that finally you can upgrade your home, make that move to give you more room for the kids toys, or if its time, maybe change to something smaller. We really need you right now to balance out, keep up with the demand, and return to a healthy market. Just remember when interest rates go up it lowers a buyer’s purchasing power. Rates have never been historically this low! If you’re selling FSBO (For Sale By Owner) you are cutting off 99% of the market to try and save a few bucks at the beginning. In the long term you will end up losing money I am afraid. I have asked clients why they do not pursue FSBO, either alone, or, with their agent. Their number one answer was “I don’t feel safe doing so”. “With my agent I am covered and protected and would my lender even let me do one of those”? This is the attitude that I have found. If a buyer is approved for 350K and can hire an agent to find a home for them for free what incentive do they have? The only one I can think of is to beat a FSBO down in price. This in turn makes you lose money. Now I have seen some pretty great FSBO’s out there and have reached out to several that I thought my buyers would like but, so far, my buyers just don’t want to go and see them. Agents want to support the sellers that are listed with other agents so do not take clients to FSBO’s. Investors seem to be the only ones that want in that sector as they think a FSBO is desperate and will go way down in price. Again losing them money. For Buyers: I use to get 3-4 inquires a week on homes in the area for sale now I am getting 3-4 a day. Why is this important? If you are currently looking, or going to be searching for a home, sure you can start on-line deciding on areas you like and even driving by some. Go to a few Open Houses and start getting a feel for the market. I would, however, strongly suggest you get yourself a good agent quickly. One that will search for you constantly, tell you at 4:oo p.m that a listing just came on the market and you need to go see now! I tell my clients right now we need to be the hare in the race as the tortoise’s are being left at the starting line. You must also put your strongest offer in up front. No wishy washy low offers will even get you in the door. Moral of this story is: I strongly believe that we have crossed the line to more of a sellers’ market. Time will tell of course but, based on what I have been seeing and especially last weekend we might already be there. Thinking Of Selling? Maybe Selling Yourself? Inform Yourself first.